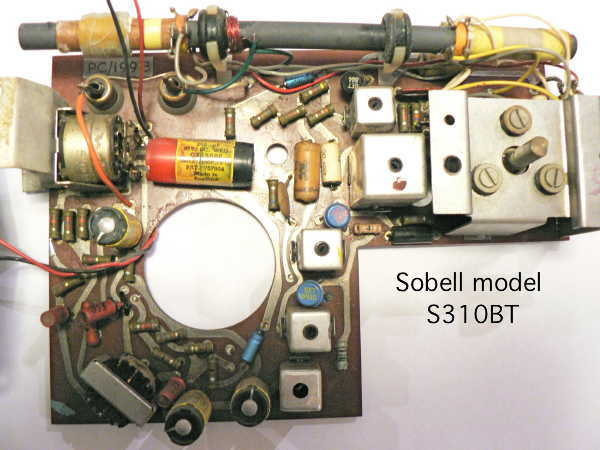 Sobell Transistor Radio S310BT Six transistor plus crystal diode, two waveband (183-555m and 11700-2010m) portable radio with sockets for external aerial and tape recorder output. Requires a 9Volt (PP9 or equivalent) battery. Housed in a wooden case covered with blue Rexine. The set utilises germanium transistors manufactured by GEC. GET884, GET883, GET883, GET113, S5 and S5. 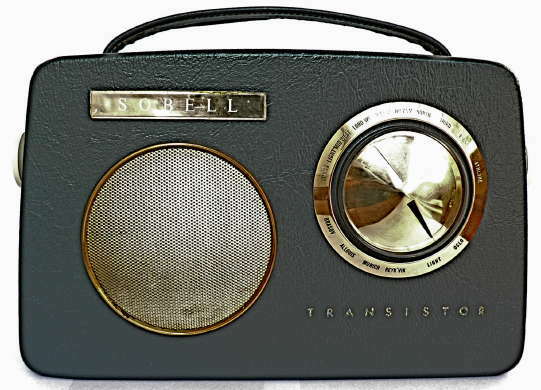 This radio was introduced in April 1962 and sold for £ 15.13s.1d (including purchase tax). 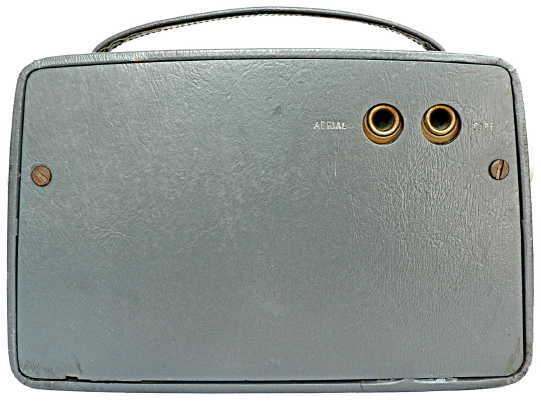 This particular radio was made on 12th June 1962. Manufactured in Langley Park Slough, Bucks, UK. I liked the simple lines of the case and purchased it for £ 8.70. 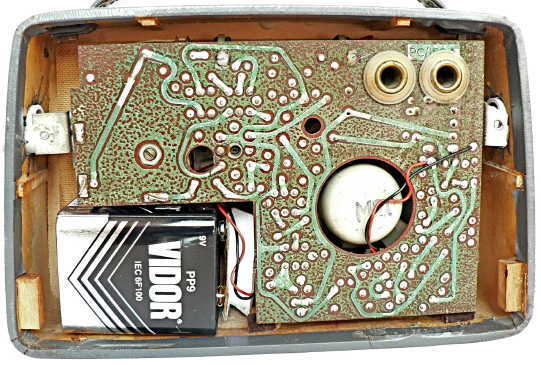 GEC transistors were used in some models and the more common Mullard ones in others. In 1961 a joint venture was formed called Associated Semiconductor Manufacturers Ltd. (ASM), owned two-thirds by Philips and one-third by GEC. In effect the GEC semiconductor lines were taken over by Mullard, and although GEC types continued for some years, they started to be branded Mullard, and it seems that by about 1963 the GEC transistors had been phased out. back showing aerial and tape recorder/loudspeaker output sockets. Interior view showing rear of printed circuit and battery. View of chassis The radio came to me with the battery illustrated above which had a 1999 date code but a replacement battery brought it immediately to life. The chassis had been removed from the case at some time but I could find no indication of any repair. The ferrite aerial had come adrift and the thin wire to the external aerial coupling coil had broken and the other coils were loose on the rod, all simple to rectify.